The Kerbl Cat Tree Fridolin is a beautifully constructed budget cat tree from the world-renowned pet supply manufacturers Kerbl. 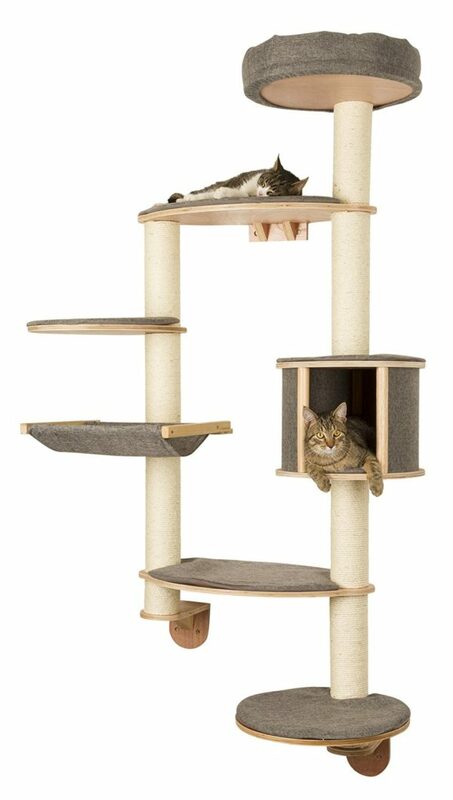 With three separate levels for your feline friend to relax and play. The Kerbl Cat Tree Fridolin provides a stylish and practical solution to your cats needs! The Kerbl Cat Tree Fridolin is made from plush felt, which feline friend will simply love snuggling up into. Connecting the various platforms are high quality, durable, sisal scratching poles, where your cat can sharpen their claws and have a nice stretch after waking up from a relaxing slumber inside the attached kitty cave. If your feline friend is feeling adventurous, there is a penthouse platform where they can survey their surroundings and keep an eye on everything around them in luxurious comfort. The Kerbl Cat Tree Fridolin provides excellent value for money and is built to stand the test of time.